2x Bears for healthy hair - Natural dermocosmetics and dietary supplements. Collagen creams. 3 characteristics of beautiful hair that you take care of with our jellies: health1), color2), shine3). In every bear that you eat there are 13 nutrients + orange flavor! Each nutrient in the preparation covers, in the recommended dose for consumption, 100% or more of its daily requirement, e.g. biotin is up to 500% RDIs! Copper2) helps to maintain proper pigmentation of the hair. It favorably affects hair's color and brilliance. 1 jelly = only 3 kcal! 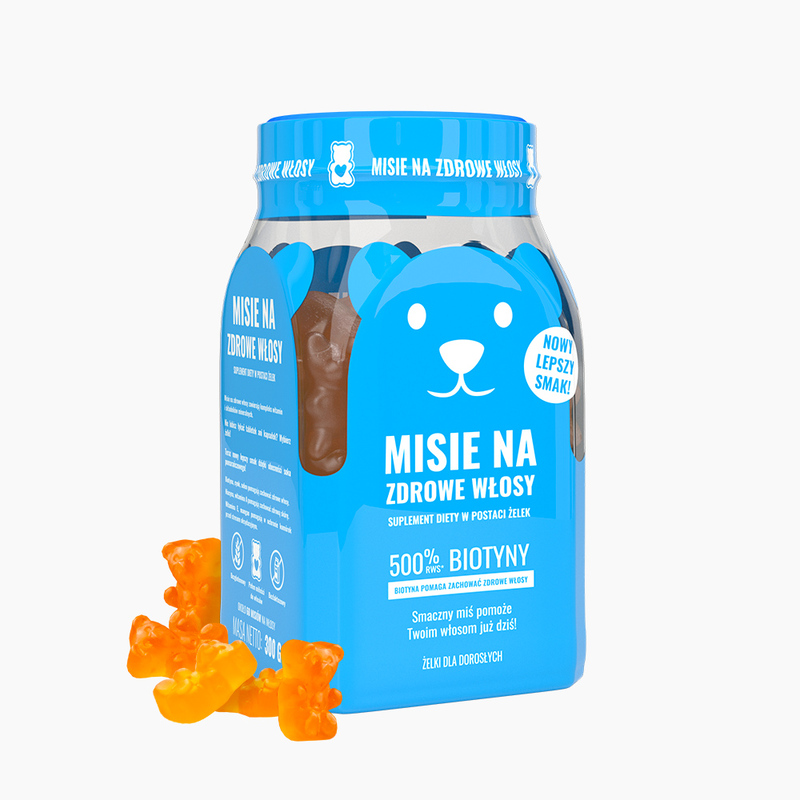 Bears for healthy hair are a diet supplement in the form of jellies for adults. 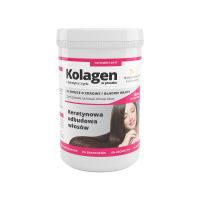 Its effects will be appreciated by anyone who wishes to have healthy, beautiful and shiny hair. 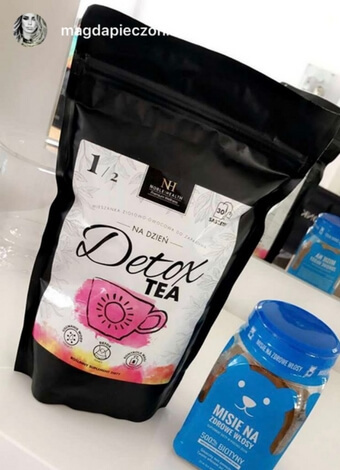 Ingredients: glucose syrup, sugar, water, gelatin, vitamin and mineral supplementation kit (DL-alpha tocopheryl acetate, zinc sulphate, nicotinic acid amide, calcium D-pantothenate, retinyl acetate, cyanocobalamin, manganese sulphate, sodium (VI) selenate, Pyridoxine hydrochloride, copper (II) sulfate, thiamine mononitrate, pteroylmonoglutamic acid, D-biotin), acidity regulator - citric acid, stabilizer - sorbitol, glazing agent - carnauba wax, colourant - beta carotene, natural orange aroma. 1 jelly contains 13 nutrients. Biotin, zinc, selenium help to keep your hair healthy. Copper helps to maintain proper hair pigmentation. It affects the color and brilliance of the hair. Niacin, vitamin A help to maintain healthy skin. Vitamin E, manganese help to protect cells against oxidative stress.